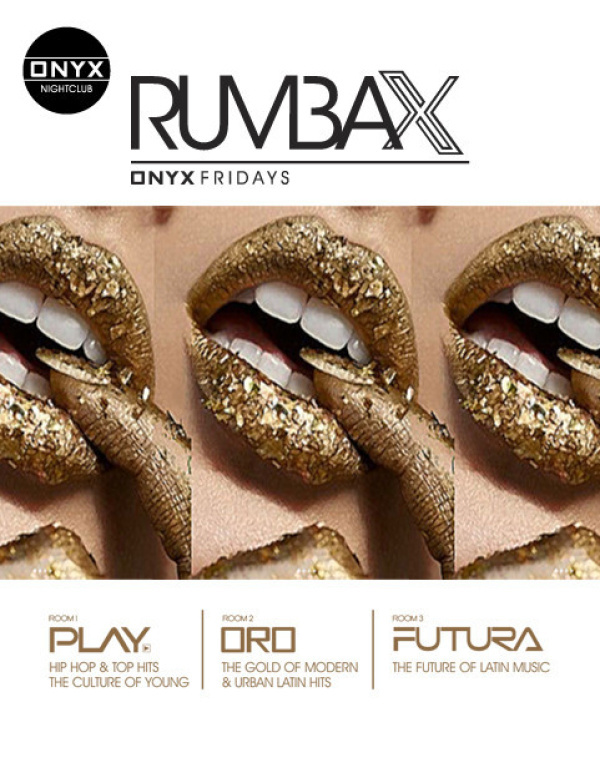 San Diego has stamped Friday nights at Onyx: Rumba Lounge as the best hot spot in the Gaslamp Quarter 3 years in counting. A prime destination for Latin Music, great drinks and unique sounds to dance the night away. We have 3 rooms and dance floors each with their own unique ambiance, open after hours til 3am. Our Main Room has our Dj's mixing Top40/Hip-Hop & Party Rock. Downstairs our Latin Dj's mix it up in 2 different rooms each with their exotic sounds from Urban Latino to Tropical. The choice of Salsa, Merengue, Bachata, Reggaeton, and Latin house leaves the imagination with a night of hot possibilities.